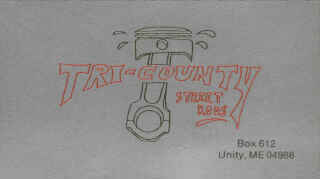 I am a member of Tri-County Street Rods and enjoy meeting people from other clubs. 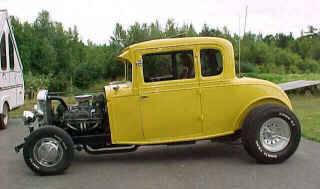 I also enjoy meeting people who are building a street rod or hot rod; going to car shows, collecting tee-shirts, and checking out the venders for neat stuff for hot rods. Pictures of members cars are coming soon. I am our clubs' representative to MAAC and have been since 1991. 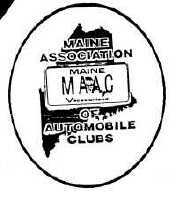 This was when MAAC was formed in order to bring together various automobile clubs in Maine, to share their events calenders, keep track of legislation affecting our hobby, and share their interests in the "sport". If you would like to know more about MAAC, or join our organization, please contact two very dedicated MAAC members " Fred & Susan Worcester " at Calender of Events, P.O. Box 717, Brownville, ME, 04414. Or E-Mail at fredsq@mint.net. Charlie Huntington is the chairperson for MAAC, and you can go to his home page and for more information about MAAC, by clicking here.